We recommend that you clearly indicate the address to which you would like the document sent. Without your specific address information, it will automatically be sent to the address on the check. For the duration of the warranty on your JEANNEAU, the dealership where you purchased your boat will be at your service for all after-sales service requests. You can also contact your dealership for any spare parts requests and technical questions. 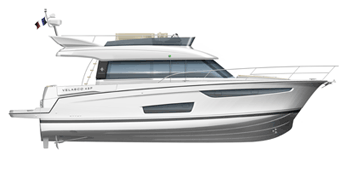 JEANNEAU dealers are your preferred contacts, able to answer all your questions concerning the purchase of a boat. We recommend that you contact your local dealership by clicking here.